A secret password, knock or finding an unmarked door could grant a person entrance to an elusive “speakeasy.” These establishments are hidden away undetected in ordinary shops or restaurants; the chances of you ever finding one is a thrilling chase. Once access is granted, inside is an ode to the 20’s era, a place of entertainment filled with drinking, music and sometimes even vaudeville acts. During the 1920s underground bars were immensely popular. This is because the 18th Amendment was put into effect, which prohibited the sale and manufacture of alcohol. Illegal underground bars were created to fulfill the need of people who wanted to enjoy the pleasures of alcohol. The term “speakeasy” was coined as a saying of the bartenders who would tell rowdy customers to “speak easy,” essentially to shut up or be discovered by the cops. 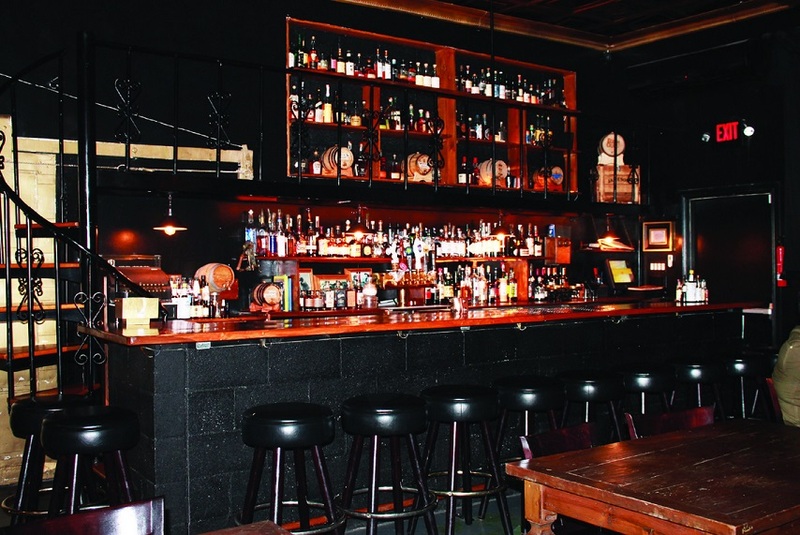 Bars in Long Beach are now paying homage to the ‘20s era by recreating speakeasies. Slowly, Long Beach bars are becoming more interested in bringing back the 1920s and giving customers an exclusive and intimate type of experience. One of the speakeasies in Long Beach can be found at Roxanne's Cocktail Lounge & Latin Grill located on 1115 E Wardlow Road.. It is filled with antiques and photographs of Long Beach, pre-dating from the first liquor license ever accepted in the city. The bar inside Roxanne’s, named The Exhibition Room, is a unique twist between a speakeasy and a museum to the Long Beach area. “Everything in here is a piece of Long Beach,” said bar owner Robert A. Molina. Everywhere you look is a little piece of history. The seats are authentic church pews from the first Christian church in Long Beach, donated by the Long Beach Heritage Museum. The piano used for the bar’s entertainment dates back to ‘60s. On the far left of the bar is a display case filled with interesting bar memorabilia. The only way to get access into the bar is to make a reservation and obtain the secret password either online or texting the number 562-826-2940 with your name, number of people in your party, and arrival time. After making a reservation, the customers must go to the back of Roxanne’s where they will find an antique 1940s phone booth previously owned by the Los Angeles Coliseum. The guest must then pick up the phone and present the password to be granted access. Once they enter the hidden door, guests are transported to the 1920s prohibition era where waitress and bartenders are dressed in period attire awaiting to serve drinks. The specialty menu of signature cocktails changes monthly giving guests’ new drinking experiences. The bars capacity is limited to 54 people, giving an intimate and relaxing setting where people can socialize comfortably.